Despite the diverse approaches employed today, there is a significant gap in our knowledge of mangrove ecosystem services under the various management regimes, according to a new report by by Wageningen University and Wetlands International. Most research on ecosystem services does not distinguish between different management regimes, so the report examines different mangrove management systems in Indonesia. 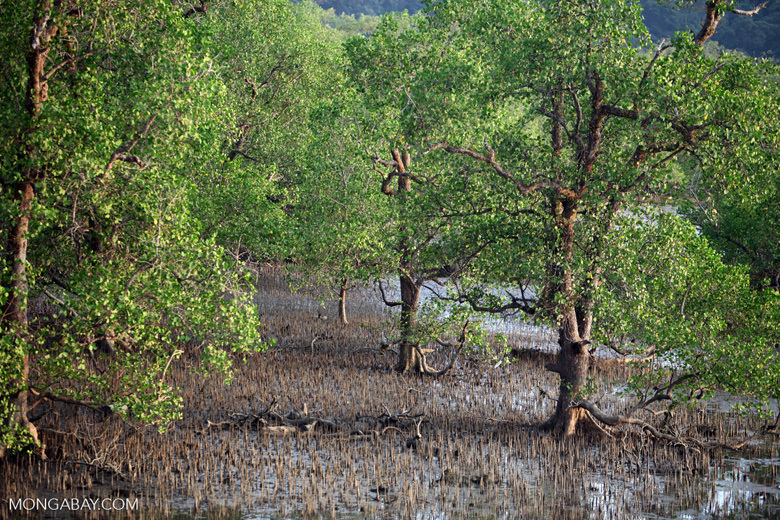 The study looked at seven ecosystem services performance indicators and found that natural mangroves scored higher than aquaculture for six of them. The world’s coastal mangroves are under pressure from increasing industrialization and growing populations, especially in Southeast Asia, where mangrove forests are still frequently converted into aquaculture developments. Wiping out a mangrove and converting it into an aquaculture operation is the most extreme management option available, of course. 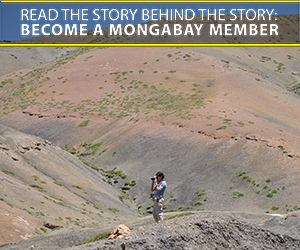 Some mangroves are protected, some are even open to ecotourism, and others are managed for timber production. Every mangrove provides different services, depending on how much it has been impacted by human activity and how well it has been managed or protected. Yet despite the diverse approaches employed today, there is a significant gap in our knowledge of mangrove ecosystem services under the various management regimes, according to the authors of a new report released by Wageningen University and Netherlands-based Wetlands International. The report examines different mangrove management systems in Indonesia, which has the largest and most biodiverse mangroves in the world. 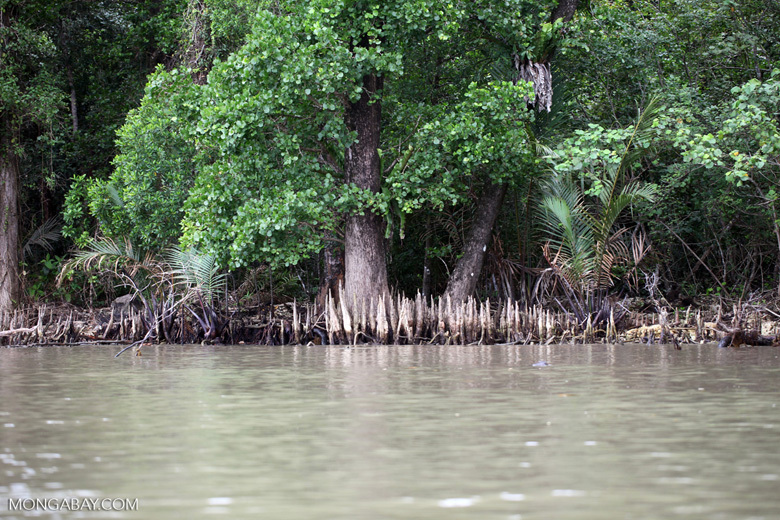 But the country has lost almost 40 percent of its mangroves, mainly as a result of aquaculture development, Femke Tonneijck of Wetlands International told Mongabay. “This has resulted in the loss of many ecosystem services,” she added. Not all mangroves are created equal, Tonneijck added. Governments looking to manage a specific mangrove need to analyze the strengths and weaknesses of particular management regimes, and to do that they need to understand the impacts of the myriad management systems available to them on the provision of ecosystem services. “Comparing different management regimes allows decisionmakers and managers to compare alternative ways to manage mangroves, through the different ecosystem services such management regimes promote,” said lead author Alexander van Oudenhoven of the Environmental Systems Analysis Group at Wageningen University in the Netherlands. This is important, van Oudenhoven continued, to show decisionmakers in Indonesia not just what a healthy mangrove can provide to humans, but also what is lost with every hectare of mangrove that is converted or cut. The study looked at state and performance indicators of seven ecosystem services and found that natural mangroves scored highest for six of them: raw materials, coastal protection, carbon sequestration, water purification, nursery for fish and shrimp, and nature-based recreation. The only service for which natural mangroves scored lower than aquaculture, the authors found, was food – and even then, natural mangroves only scored “fractionally lower” than aquaculture. And while mangroves converted to aquaculture developments received the highest score for food production, they received low or even negative marks for provision of all other ecosystem services. Aquaculture developments also rank high in “disservices,” the authors write, including high carbon emissions, wave height increase (which increases flood risk) and water pollution. Van Oudenhoven said that most aquaculture systems simply don’t have mangrove trees of sufficient age and diversity to provide any ecosystem services in the proper sense of the term. “High fish and shrimp production is a direct effect of high human inputs, not of ecological characteristics,” he said. 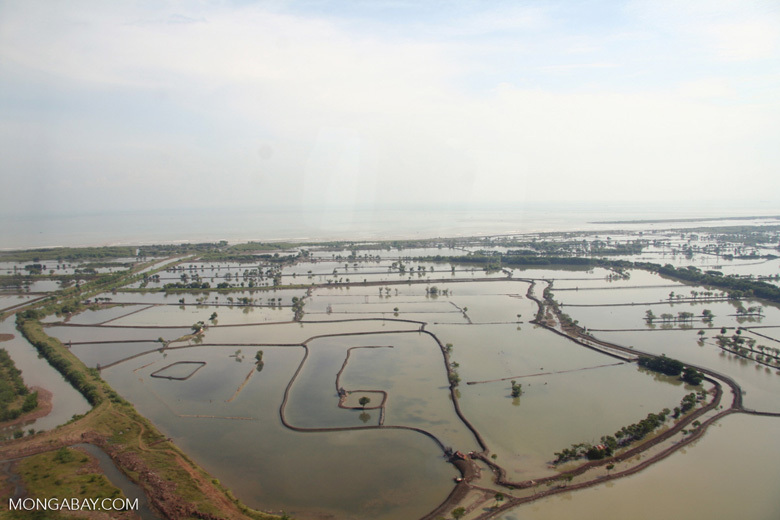 Meanwhile, the “disservices” provided by aquaculture development – water pollution, carbon emission and leakage, flood risk – were only found in those systems, because of the conversion of mangroves, the building of dykes, dams and ponds, and high management inputs. In the end, van Oudenhoven points out that the most optimal management is actually doing nothing – which is to say, protecting mangrove ecosystems just as they are. “With increasing biodiversity, stand age and naturalness, the mangrove ecosystem becomes stronger, more resilient and will increase provision of crucial ecosystem services such as coastal protection, carbon sequestration, fish and shrimp,” he said.